Guaranty Income Health Insurance is a long-term care plan provided by Guaranty Income Life Insurance Company. In addition to long-term care, the company also offers life insurance and annuities to interested policyholders. 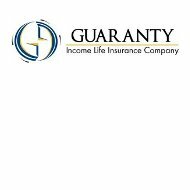 Guaranty Income Life Insurance is a subsidiary of Guaranty Corporation, which has been in existence since 1926 and can write policies in 31 states. Individuals have three options in determining how they are going to be cared for when as they age or suffer from disability. Citizens can rely on government funding, or they can use their wealth and rely on their own ability to self-insure. The best option is for individuals to purchase long-term care policies to enable them to be cared for when older. Guaranty Income offers policies such as their “AnnuiCare” plan, which is a tax-deferred annuity, used to protect the client against catastrophic illnesses or disease and simultaneously provide for necessary long-term care. As the elderly continue to live longer lives, long-term care becomes more important. The way the plan works is that money is set aside into an annuity. The premiums for the long-term care are taken out of the annuity every month. As the annuity gets larger, the long term care coverage increases. However, there is a 90-day waiting period for policyholders to be eligible for certain benefits, but other benefits are available immediately. Another caveat to the plan is that policyholders must be at least 59 years old to qualify. Individuals may choose the annuity according to their needs and the state they reside. The company’s website provides a map of the United States that prospective policyholders can click on to see the products approved by their state. In addition to the long-term care plan, there are riders, which may be added to each individual’s coverage. These riders provide coverage for home health care, hospice services, assisted living facilities, adult day care, and nursing home coverage. Riders are also available for family members to be trained in home health care and hired help to come and perform daily chores and maintenance. A unique rider with Guaranty Income allows coverage for family members to be relieved from caring for their disabled relative for a short period of time. During this time period, the insurance company provides a caretaker to care for the relative. Guaranty Income requests that claims be reported as soon as possible by telephone to 1-800-535-8110 or faxing the claim to (225) 343-0047. A representative will then determine the policyholder’s eligibility, explain coverage, and, the plan of care will be established and communicated with the policyholder. You can speak with a Guaranty Income representative by calling 1-800-535-8110 or by sending the company an email. The website also provides a form that can be completed and submitted to the Customer Information Center. The form requires your name, email address, subject matter, policy number (if you have one), and any additional questions or comments. You may also choose how you would like to be contacted whether by phone, email, or mail. An agent closest to you can be located by completing this form and inputting your address. The address will allow the customer service representative to provide you with agent information. Guaranty Income provides its customers with service by providing helpful information on its website. For example, there are glossaries with insurance definitions and a frequently asked section. Premiums can also be automatically deducted from the policyholder’s checking or savings account. The company requests a form to be downloaded, filled out, and sent to the address on the top of the form. A voided check must be included with the paperwork. Guaranty Income is accredited by the Better Business Bureau. The Better Business Bureau has not received any complaints against Guaranty Income in the last three years. Guaranty Income is rated “B” by A.M. Best and has a stable outlook. In fact, the company sold more long-term care policies in 2010 than in 2009. Compare other health insurance companies and receive quotes from active providers by typing your zip code into the free rates tool now!